Vern Burkhardt (VB): You have studied Peter Drucker's thinking and writings extensively for over two decades. How did you initially become interested in him? Bruce Rosenstein: Drucker's 839-page book Management: Tasks, Responsibilities, Practices was assigned as the textbook for the management course I was taking at the Catholic University of America's School of Library and Information Science. I knew about Drucker before that, but only in a fairly tangential way. I had never read his work, and it immediately spoke very deeply to me. I was drawn in by his clear writing and the direct connection he made with the reader. His ability to weave in many disciplines, such as history, philosophy, education and literature, with the study of management, was fascinating to me. VB: You interviewed him several times. What was he like as a person? Bruce Rosenstein: I found Drucker to be straightforward and business-like; yet also warm, gracious, generous with his time, and having a good sense of humor. Whenever I dealt with him, he handled his own details in terms of both exchanging faxes and a few short phone calls about logistics for the interviews. VB: I gather he left a lasting impression on you? Bruce Rosenstein: He left an indelible, lasting impression on me. Just having the opportunity to interview him in person was a privilege, and you knew you were in the presence of greatness. Yet I also found him to be unpretentious and down-to-earth. One of the things I have tried to do in my book is to demonstrate Drucker as a role model; if we approach even a small percentage of his greatness, we are bound to improve our lives. VB: Would you describe your book as summarizing the most useful of Drucker's ideas? Bruce Rosenstein: The book goes beyond summarizing his ideas, although there is certainly a fair amount of summarizing of his concepts and principles in what I hope are reader-friendly ways. The ideas are also put into context for today's knowledge workers, and synthesized into a framework of how they can help readers to live more meaningful lives. VB: What aspects of Peter Drucker's works have you found especially interesting and relevant even today? Bruce Rosenstein: Much of Drucker's work is timeless and can be applied to any era. For today, his relevance comes in particular with his emphasis on the importance of working with knowledge; the insistence that within management, people be treated as a resource rather than a cost; the emphasis on self-management, the identification of mission or purpose for individuals and organizations, the study of the importance of innovation and entrepreneurship, and the belief that all organizations – not just businesses – deserve to be well-managed. But his sheer body of work is highly impressive, and his books are still worth reading. VB: Do you have any advice for people who say they don't have time to live in more than one world? Bruce Rosenstein: My advice to people who say they don't have time to live in more than one world is to examine why they have that belief, and how they are spending their time now. Are they perfectly satisfied with a single-minded life? How far into the future do they see themselves living that way? There is a device I formulated in the book, at the end of each chapter, called the "Total Life List," in which readers are guided to list current activities and future goals in a variety of work and non-work areas, and also to list the people involved in those areas, such as family, friends, colleagues, and associates. If you seriously work on this list over a period of time, it should then give you a good idea of where you are now, and where you'd like to be. VB: People strive in various ways to be happy. Is feeling you are making a contribution the essence of happiness? Bruce Rosenstein: Making a contribution to the world in various ways is definitely a key element of happiness, along with making meaningful connections with other people and developing a positive sense of self-worth. There are many elements to happiness, and there are lots of people who are studying the issue, and writing about it. VB: Peter Drucker coined the term "knowledge worker." Is the concept of knowledge changing with the increase of access to information from many sources, including the Internet? Bruce Rosenstein: I don't think the concept of knowledge itself is changing, but the increase of access means that we are dealing with significantly more data and information every day, and it can be more difficult to turn it into knowledge because we are overloaded with it. There is a time and study or concentration factor involved in really developing actionable knowledge. If we have to read through voluminous amounts of material, both online and in print, it can take much longer to arrive at that knowledge. VB: Is the concept of "knowledge worker" still relevant today or is it being replaced by a different type of work and worker? Bruce Rosenstein: Knowledge worker is an umbrella term that fits many different occupations, now and in the future. I think it will be relevant for a long time. Drucker coined the term in the late 1950s, long before the era when people could easily go online, and also long before the birth of the personal computer. The way we work may be different, but I think the concept still holds of working with your brain more than your brawn, and owning your own means of production. VB: Are workers different today because many are less tied to organizations? Bruce Rosenstein: One difference from the years when Drucker was writing is that there is less loyalty to organizations and from organizations. People are much more like free agents now, no matter who employs them. And as Drucker said, people now outlive corporations, rather than the other way around. Workers are also different from years ago in the amount and frequency of work that is done remotely, and at different hours. VB: You quote Drucker as saying, "So, if your goal is to make money, I rather pity you." Accumulating wealth should not be our goal? Bruce Rosenstein: In the April 11, 2005 interview I conducted with him in Claremont, California, Drucker said if your main goal in life was to make money, that wouldn't be as satisfying as working towards continual achievement, and leaving something behind, such as "a hospital that's working, a company that's working…"
I don't think he was against accumulating wealth, or even making it one of our goals, especially if you put your money to good use to help others. But it shouldn't be our primary goal. VB: Is the sense of wanting to achieve, to contribute, a basic human instinct? Bruce Rosenstein: Based on what I have experienced and observed, I think achievement and wanting to contribute is a basic human instinct. We want to do good things that help others and that can form part of our legacy. In some people, these ideas are not as well-developed as they should be. That's why the concept of self-management is so important, so we can help organize these instincts to give them the proper expression. VB: "Systematic abandonment" is a lovely concept. Do you have any advice for those who think or say they don't know how to practice it? Bruce Rosenstein: The first thing you should consider when deciding what activities you might abandon – or seriously scale back – is to get a good handle on everything you are doing. The Total Life List, which I mentioned earlier, is a great device in that regard. Then you can really deal with Drucker's systematic abandonment question for many areas of your life: "If we did not do this already, would we, knowing what we now know, go into it?" VB: Peter Drucker embraced the concept of Servant Leader. Is this even more relevant in today's world? Bruce Rosenstein: The concept of servant leadership is still somewhat under the radar, but I believe it is more relevant than ever, in light of the economic meltdown during the past few years, and stretching back at least to the corporate scandals of the early part of the decade. We need leaders who think first of their followers. Before they think of their own needs and desires, these leaders will consider what their followers need to accomplish their work. VB: Is a person who is in a leadership role but is not humble, in essence not a leader? Bruce Rosenstein: I don't think you can say this. We would probably prefer that our leaders be fairly humble, but it doesn't seem that not having this quality should disqualify a person for leadership. And I imagine there could be leaders who seem humble to the outside world, but are less so to their associates. VB: Is the spirit of generosity a basic human instinct, or do we have to learn this type of attitude and behavior? Bruce Rosenstein: My sense is that generosity is a basic human instinct, but that it is more well-developed in some people than others. We can learn it and develop it further from observing and reading about people who are particularly generous with their time and talents. VB: You quote from Peter Drucker's writing, "But fundamentally the one quality demanded of you will not be skill, knowledge or talent, but character." Is this overstated for today's highly technical and specialized world? Bruce Rosenstein: Drucker wrote this idea in 1952, and it is timeless. Many people don't seem to have gotten the memo on this concept of the importance of character. It is not overstated for today's world, precisely because it is, as you say, highly technical and specialized. We have to be able to trust many different people, as we become more connected online to people we don't know personally. We have to know that we are dealing with people of integrity. Living our lives with purpose, integrity, and good character helps provide us with the solid reputation we need to thrive in this type of world, which becomes more virtual by the day. VB: "The point is to have time built into your schedule to get away from work to think deeply about where you have been and where you are going." Have you found that the highly successful people you have encountered over the years heed this advice? And do you? Bruce Rosenstein: The introspection question is one that I have not asked people in my interviews, but I think it is a line of inquiry that I will pursue for my future work. My anecdotal sense is that many successful people do this, especially those who engage in meditation. I tend to be quite introspective, and build in some time daily to be alone with my thoughts about direction in life. VB: Many books have been written, and theories developed, about organizational transformation. What attracted you to explore and write about personal transformation? Bruce Rosenstein: This happened around the time I discovered Drucker in 1986. I was making my own personal transformation, from writing about and selling rock music, to becoming a librarian the following year at USA Today. Drucker's work on personal transformation really spoke to me, as did his work on organizations. But I was particularly interested in what he had to say about the individual. I found it to be helpful and relevant in my new professional career. His work really touched me at a deep level. Eventually, I was able to shift my writing away from music to writing about both the library world and also the world of business, business books and business authors. I read self-help and success literature, and developed an interest in writing a book about personal transformation. I have been fortunate to write about, and in most cases, also interview some excellent authors in this genre, such as Richard Carlson, Michael Gelb, Tom Butler-Bowdon, Daniel Pink, Guy Kawasaki, Daniel Goleman and Mihaly Csikszentmihalyi. VB: You say that "life diversification" is central to your book. Who should read Living in More Than One World? Bruce Rosenstein: Anyone who is interested in learning about and applying a framework for living a more meaningful and fulfilling life should read Living in More Than One World. It is not necessary that they know anything about Drucker beforehand. But certainly people who are interested in Drucker and want to find out how they can apply his ideas to their day to day life and planning for a better future will find the book valuable. A couple of short-hand reasons for reading it are better self-management and work-life balance, but that is only part of the book's message. VB: As Peter Drucker exemplified, learning must be lifelong. If we wish to follow his example do we have to continually learn how to learn? Bruce Rosenstein: It's a good idea to determine your optimum learning styles, such as whether you learn best by reading, writing, listening, doing – such as on the job, teaching, or some combination of these factors. In the sense of continually learning how to learn, we have to continue to be open and receptive to new ideas and new ways of doing things, including learning. One example now would be the array of online learning opportunities that didn't exist years ago. This type of learning will become more ubiquitous and sophisticated, and we will need to find ways to keep up with it. Learning something new each day, even if it is just something we've read online or in print, is a worthy goal. VB: Would you describe yourself as a social entrepreneur? Bruce Rosenstein: I am not a social entrepreneur, because this type of person finds a cause they believe in, that they feel has not been as well-served as it should have been, and starts an organization – usually nonprofit, but not always – to further that cause. I have not done that, but I hope that by writing about it in my book, I have planted the seed in the minds of some people who could be social entrepreneurs. VB: What tips do you have from your studies of Drucker for those who would like to be more creative and innovative? Bruce Rosenstein: Drucker tended to play down the idea of creativity, at least as it pertained to organizations. People with creative ideas have to be able to put in the necessary thought, commitment and work to turn those ideas into tangible products or services. A good way to think of it might be as with innovation, which is to turn it into a systematic discipline. And if you are in business, consider the need for continuous, ongoing innovation. It is difficult to capture his innovation ideas in a short space, and because of that, your readers who are really interested in Drucker's ideas on the topic should read his 1985 classic book, Innovation and Entrepreneurship. Drucker was highly creative himself, and had a prodigious output of creativity over many years – books, articles, teaching, making presentations, and so on. VB: What kind of feedback have you received from people who have read your book? Bruce Rosenstein: I've received super-gratifying feedback from people who enjoyed the book and found it to be valuable. Some people said it has given them a new way of thinking about how all the different areas of their life fit together. It's especially nice when I hear that some people have read it more than once. A reader emailed me that my book was "the closest one could ever come to meeting Peter Drucker," which is really high praise. The whole concept of living in more than one world also resonates with many people's lives. Another person emailed me that "Finally, someone has written down what I've been thinking all along." It is also nice when I hear from people who enjoyed the book, and did not previously know about Drucker. VB: If more people followed the advice you provide, would we be living in a gentler, more peaceful, and enjoyable world? Bruce Rosenstein: We would be living in a somewhat gentler, more peaceful and enjoyable world. I think our own lives would demonstrate more of those qualities, and it will happen over time, not overnight. But people who follow this advice – which may be simple, but is not always easy to put into practice – will lead more fulfilling lives and be better family members, friends and colleagues. If enough people started doing this, I have to think it would improve the world! VB: On that optimistic note I would like to thank you for telling us about some of the lessons we can learn from Peter Drucker regarding how to inspire and transform our lives. Bruce Rosenstein: It's been my pleasure – Peter Drucker's wisdom has withstood the test of time. Author Bruce Rosenstein provides many practical, thought-provoking questions and lessons based on Peter Drucker's insights that the key to a fulfilling life is "living in more than one world," to have a diverse set of interests, activities, and pursuits. This advice is based on the key principles Drucker lived and taught, and what better way to learn these principles than from someone who is an expert on Drucker's ideas! This seems increasingly relevant as more baby boomers have to decide what to do with the second half of their life after retirement. Bruce Rosenstein refers to Drucker's book Management Challenges for the 21st Century as providing some possible alternatives, such as developing a second career, having a parallel career, or social entrepreneurship. Author Bruce Rosenstein has a BA in Communications from The American University, in Washington, D.C., and a MSLS from The Catholic University of America's School of Library and Information Science. He is a lecturer for The Catholic University of America's School of Library and Information Science in Washington, D.C. He worked for USA Today, located in McLean, Virginia, for 21 years. Rosenstein was the "embedded Librarian" in the News section, and regularly wrote about business and management books for USA Today's Money section. Before becoming a librarian, Bruce Rosenstein scripted and selected the recordings for a weekly rock music radio program heard worldwide on The Voice of America, from 1974 to 1988. During that time he wrote about rock music for a number of publications, including Trouser Press, Unicorn Times, ARSC Journal and several others. In 1980, Bruce Rosenstein and Steve Leeds formed an independent rock music label, Ambition Records, and released one of the first compilations of independent rock, Declaration of Independents. Bruce Rosenstein, a Drucker scholar, has studied Peter Drucker for more than twenty years. He has written about and interviewed Peter Drucker extensively for USA Today, and wrote a series of columns about him in 2001 and 2002 for Information Outlook, the publication of the Special Libraries Association/SLA. On April 11, 2005 Rosenstein conducted one of the last interviews Drucker gave, seven months to the day before his death at age 95. 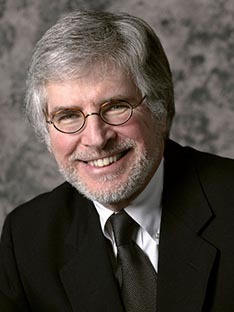 Besides USA Today and Information Outlook, Bruce Rosenstein has written for such publications as Leader to Leader, ONLINE, Library Journal, and News Library News. Bruce Rosenstein is the author of Living in More Than One World: How Peter Drucker's Wisdom Can Inspire and Transform Your Life (Berrett-Koehler 2009). He also has a website and a blog.